Gift vouchers can be purchased at any of our salons, or can be arranged over the phone or email via our head office and delivered by post to you. If only partial value of the voucher is used, a new voucher will be given with the remainint amount for you to use at your next visit within the original expiry date. All gift vouchers must be presented at the time of treatment. 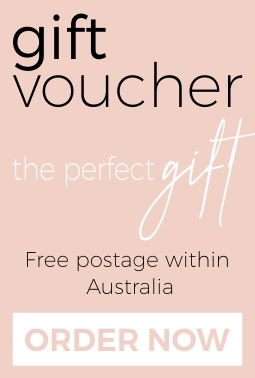 All gift vouchers will be considered null and void after their expiry date (salon management and staff are advised not to honour expired vouchers - please contact head office at info@diamondnailssalon.com.au if you have any concerns relating to this). We strive to provide the best services using the best products in a relaxed environment. Please inform our professional staff if you are allergic to any products or chemicals prior to your service and inform the staff or manager immediately if you have any concerns. Here at Diamond Nails, we are confident you will be satisfied with your service. If not, contact the manager of the salon where you received the service within 72 hours to give us the opportunity to rectify any concerns. If you are unhappy with the resolution, please contact head office at info@diamondnailssalon.com.au with a detailed description of your concern. Please note that this is required in writing. Ensure you have the date and time, technicians name and photos (if applicable). Refills over the recommended 2-3 week period where there is significant regrowth will incur an additional $10.00 to cover extra product and time. The technician will confirm this before the service starts. Services will only be redone if you are unsatisfied with the quality of work at the store managers discretion. Refunds and credit are not provided for change of mind. Only head office can approve refunds; not the store manager or employees. Copyright © 2018, Diamond Nails. All rights reserved.